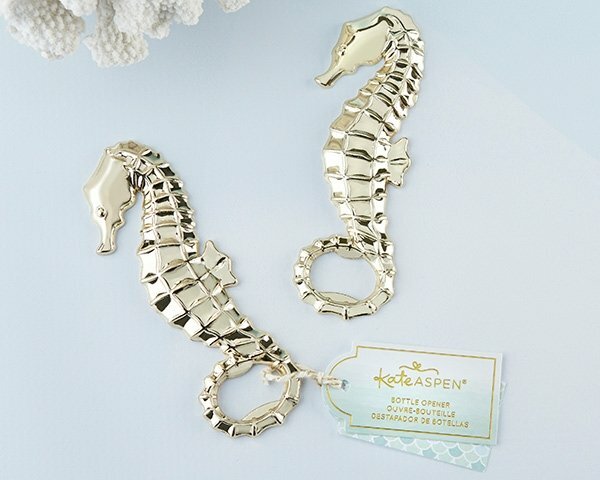 Kate Aspen's Gold Seahorse Bottle Opener is the perfect favor to crack open guests' favorite refreshing seaside drinks. Made of glistening gold medal, these bottle opener favors are a great addition to any seaside-themed wedding or under the sea baby shower. Hello, I see the optional gift tag for my item, does it cost extra? 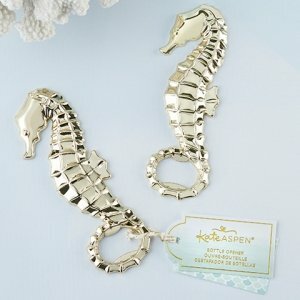 Yes, if you want a personalized tag of this Gold Seahorse Bottle Opener you can add that option for an extra fee of $0.35 each.